Fig. 1. Marcel Duchamp, Fountain, 1917, photograph by Alfred Steiglitz following the 1917 Society of Independent Artists exhibit. Image courtesy Wikimedia Commons. A full century has now passed since Marcel Duchamp, concealing his identity as “R. Mutt,” submitted a commercially manufactured urinal to an open exhibition of art in New York City. It was an inside job from the start: Duchamp himself sat on the board of the Society of Independent Artists, the organization sponsoring the exhibition. His porcelain offering, entitled Fountain, succeeded in shocking not merely the bourgeoisie but even the progressives of New York’s art scene, including the hoodwinked board, a plurality of which voted to reject the piece on the grounds of its purported unoriginality and vulgarity. Playing the second act as if from a script, Duchamp resigned in indignant protest on behalf of the mysterious Mr. Mutt, surreptitiously arranged for the urinal to be photographed by Alfred Stieglitz, and waged an anonymous defense of his readymade sculpture in the avant-garde magazine The Blind Man. From the start, Fountain was both artifact and act—not just a thing, but a ruse. For a work whose life as objet d’art began with the indignity of expulsion from a purportedly unjuried exhibition, and for one thought to have been unceremoniously discarded thereafter, Fountain has had a remarkable third act. Judged by one panel of twenty-first-century authorities to be the single most significant artwork of the last century, it is frequently cited as a harbinger of artistic movements that arose a half century after its scandalous appearance. Easily overlooked today is the effect of those movements—junk art to conceptualism, Fluxus to minimalism—on Duchamp’s then-flagging reputation: it was only in the 1960s that his critical status as a lion of the avant-garde was secured, a status buoyed in no small part by the advocacy of a generation of younger artists sympathetic to his mission and to varying degrees indebted to him, the composer John Cage chief among them. In 1961, on the cusp of the Duchamp revival and the publication of Cage’s career-making essay compilation Silence, the respected Austrian-British music critic and radio broadcaster Hans Keller (1919–1985) executed a ruse of his own. Like Duchamp, he adopted an alias, deceived his colleagues, and foisted a controversial work on the public. And like Duchamp, he hoped that his piece would provoke a debate on the nature of aesthetic judgment and the limits of art. I refer to the BBC’s “Piotr Zak affair” of 1961, a lesser-known scandal in the history of the avant-garde, to be sure, yet one bearing surprising resemblance, if only by happenstance, to Duchamp’s own ruse. Despite their outward differences—for Duchamp’s aims were as transgressive as Keller’s were reactionary—the affairs of Mr. Mutt and Mr. Zak trace one another’s contours in inversion, each centering upon a challenge to artistic ontology. This article uses the recent centenary of Fountain as an occasion to revisit Keller’s stunt, offering the first sustained analysis of the episode in historical context and positioning it at the brink of important changes in the critical reception of the avant-garde during the 1960s. In the wake of those changes, Mr. Mutt’s name would be secured in the history of twentieth-century art, while Mr. Zak’s remained an afterthought. The Piotr Zak hoax was hatched in London jointly by Keller and the pianist Susan Bradshaw, but it is to Keller’s name that the scheme has been linked ever since. A widely respected producer and broadcaster on BBC Radio’s Third Programme, Keller was known for a brand of erudite commentary on classical music intended to edify as much as to entertain listeners. As an analyst who aspired to reveal the organic connections underpinning superficially dissimilar themes in classical masterworks, he at times abandoned verbal remarks in favor of what he called wordless functional analysis: musical examples performed on air sans commentary, their insights ostensibly unsullied by language. Like Heinrich Schenker and Rudolph Reti, the analysts to whom he is most often compared, and like many of his contemporaries in British and American literary criticism at midcentury, he presented his interpretations as unassailable matters of fact rooted in immanent attributes of the works at hand. Although he was a champion of several modernist composers—especially Arnold Schoenberg, Igor Stravinsky, and Benjamin Britten—Keller was disenchanted by the advent of the postwar musical avant-garde and the movement’s straight-faced reception by other members of the critical establishment. The situation in new music had grown so deplorable by the 1960s, he said, that critics were incapable of discerning good music from bad or even real music from fake. Toward the end of his life, he reiterated this point in summing up his motivation for launching the Zak hoax: “we have reached a stage,” he said, “where even musicians can’t decide whether something was music or not.” For Keller, the survival of connoisseurship—if not music itself—seemingly lay at stake. On June 5, 1961, the Thursday evening broadcast of chamber music on the Third Programme included the supposed British premiere of a piece for percussion and tape by an emerging Polish composer called Piotr Zak. In reality, Zak didn’t exist, and the piece ascribed to him, bearing the then-fashionable title Mobile, was conceived and executed in the BBC studio by Keller and Bradshaw themselves, who improvised without forethought or design on an assortment of percussion instruments. A recording of the broadcast is available on YouTube (see below). As Keller had hoped, critics in the British musical press duly reviewed the new piece alongside the program’s other fare, which consisted of works by known composers. Thereafter, when the BBC publicly acknowledged Zak’s nonexistence, two of those critics, Jeremy Noble and Donald Mitchell, were invited to participate in a roundtable panel with Keller to explore the hoax’s implications for contemporary music and criticism. That broadcast, called “The Strange Case of Piotr Zak” in apparent reference to Robert Louis Stevenson’s Victorian tale of fractured identity, left little doubt that Keller had cast himself as the respectable Jekyll in this cautionary tale, Zak the sociopathic Hyde. The roundtable’s transcript is a revealing document in the reception history of the postwar musical avant-garde and the discourse of connoisseurship in the context of that repertory. To Keller, the value of the Zak hoax—or “experiment,” as he preferred—was demonstrated by the earnest engagement of serious critics with a musical work whose status as music he adamantly rejected. It’s this aspect of Zak’s “strange case” that’s indeed so strange to twenty-first century readers, particularly when the ruse is juxtaposed with the case of Duchamp’s Fountain and its challenges to normative definitions of art. Not only was Keller convinced that the music he and Bradshaw had created by their own hands was worthless on aesthetic grounds, he argued vociferously that it wasn’t even music, insisting that he had fooled critics into mistaking a counterfeit article for the real thing and blaming contemporary composers for fostering an environment where such deceit was possible. Nearly a half century earlier, Duchamp claimed to transform a found object—one decidedly not of his own making—into art through the deceptively simple act of designating it so, or giving it “a new thought,” as the author of the unsigned commentary in The Blind Man argued. Yet there stood Keller, arguing in 1961 that a work created of his own labor and presented to the public as music was, in the wake of Zak’s unmasking, no longer deserving of that status. Having executed a ruse of parallel design, Keller argued a position the opposite of Duchamp’s own. After the public was alerted to the truth behind the hoax, other commentators were quick to offer their opinions. Musicologist and composer Arthur Hutchings, for example, thought it a shame that the hoax’s victims “got off so lightly,” assuring readers of the Musical Times that he himself paid little mind to Zak’s piece, as it offered “no valid musical experience.” He also seized the opportunity to divulge to readers his own experiences in hoaxing those naïfs whom he described as “aspirant[s] to connoisseurship” (Hutchings, “Du Côté de Chez Zak,” 623). Before a group of “intelligent but pretentious” university students, he had once claimed to perform the latest compositions of Paul Hindemith, but instead fooled his pupils by playing Beethoven sonatas with a neoclassical sprinkling of wrong notes and rhythms (623). Keller, it turned out, was not the only expert eager to demonstrate his power of discernment through acts of deception. Keller never wavered in his conviction that the Piotr Zak experiment was a triumph. In as much as a hoax’s success is measured by the deception it engenders, however, the Zak affair yielded mixed results. A number of prominent critics acquitted themselves well in the face of Mobile, recognizing from the start that something smelled off about the new work. What aroused their suspicions? For one, there is little sonic evidence, save perhaps some eerie whistling, to suggest the tape component promised in the piece’s full title (“Mobile for Tape and Percussion”). In all, Keller and Bradshaw’s performance sounded exactly like what it was: a somewhat desultory exercise in free improvisation unfolding in aimless, if loosely dialogic, gestures. One of the commentators to cast suspicion on the piece was the estimable Rollo Myers—a specialist on Erik Satie, among others, and therefore no stranger to puckish avant-gardism—who guessed correctly that the music was a “farce d’atelier.” Over the next quarter century, another of the critics, Andrew Porter, was doggedly persistent in publicly disputing Keller's claim to have spoofed the establishment. Yet Keller was unfazed. In the final year of his life, he told an interviewer that some music dictionaries had begun to include descriptions of the hoax under the name “Zak,” implying that such inclusion amounted to validation. A survey of major music dictionaries, however, turns up no such entries. If the foregoing account of an aggrieved prankster’s bid to deceive cultural gatekeepers strikes academic readers as familiar, their point of reference may be the infamous “Sokal Affair” of 1996 and its latter-day offshoots, including the so-called “Sokal Squared” hoax of 2018. In fact, the acrimonious online roundtables and Twitter spats launched by the latter hoax—a ruse executed by a trio of provocateurs eager to discredit fields of research they dismissed as “grievance studies”—may be understood as a twenty-first century reprise of the broadcast roundtable and print editorials that followed the Zak affair. But we need not descend into the culture wars of academia to find parallels to Keller’s hoax; his home turf offers a wealth of examples. In the world of classical music, the spoofing of elites is both a venerable tradition and a seemingly thriving one, even if the motivations of the deceivers are more often commercial than critical, monetizing than moralizing. When an elderly woman in Germany emerged in the 1990s bearing the newly discovered manuscripts of six lost sonatas by Joseph Haydn, the great Haydn scholar H. C. Robbins Landon threw caution to the wind in proclaiming it “the greatest musicological coup of the century.” It was not; they were fakes. In the first decade of the present century, an unknown classical pianist named Joyce Hatto released a series of CDs that won her sudden and effusive praise from leading critics, one of whom described her as “the greatest living pianist that almost no one has ever heard of.” She was not; her recordings were revealed to be works of forgery in the age of digital reproduction, copies of other pianists’ renditions. And in 2013, a deaf composer celebrated in the press as “Japan’s Beethoven,” Mamoru Samuragochi, was found to be executing an elaborate fraud, serving as the captivating public face of a two-man operation, a ghostwriter lurking in his shadow. His swift downfall was captured neatly in a headline: “In Japan, a Beloved Deaf Composer Appears to be None of the Above.” Such affairs make for gripping and sensational headlines but recede quickly from view, receiving less academic attention in musical circles than do comparable scandals in the visual and literary arts, where scholars have given deception its due, examining such cases for their potential to lay bare the boundaries that define and reinforce artistic values, practices, and economies. Indeed, acts of artistic duplicity serve best to teach us lessons not merely about themselves but about the assumptions that permit them to succeed—that is, when they do. No form of artistic dishonesty has been explored more thoroughly by scholars than has art forgery, but in these cases the motivation sometimes differs: recent studies suggest that revenge, not money, is often the forger’s draw. Such was the case with the beloved British forger Tom Keating, a cockney whose resentment toward the elites of the art world drove him to create painstakingly rendered forgeries of more than 2000 works by great and minor masters, in the process destabilizing the economies from which he felt excluded and embarrassing the critics who had earlier spurned him. Most strikingly, Keating placed what he called “time bombs” in his forgeries, intentional material evidence of their inauthenticity, and waited gleefully for anxious collectors and museum owners to make the fateful discoveries for themselves. Late in his life, as the host of a popular painting program on British television, Keating began selling paintings on the legitimate market he had created in the styles of old masters, some of them witty riffs on famous works. His paintings, now collected and displayed in their own right, are viewed as wry commentaries on the nature of authenticity, fame, and art-world capital. Critic Blake Gopnik drew a heated response from readers of the New York Times by suggesting recently that we owe artists such as Keating a debt because they force us to ask important questions about the nature of representation, authorship, and value, questions celebrated as the purview of the historical avant-garde and given form in once-subversive, now-canonical works like Duchamp’s Fountain. The artist and critic Jonathon Keats would agree: his 2013 book Forged is aptly subtitled Why Fakes Are the Great Art of Our Age. The poet and novelist Ben Lerner recently extended that discussion to another mode of transgression against art’s social compact, vandalism, with results that should be discomfiting to anyone who believes in a tidy distinction between the figurative “iconoclasm” of the avant-garde and the literal smashing of icons. Such transgressions can offer historians valuable insights into the critical reception of modernism, experimentalism, and avant-gardism because of, not despite, their distance from celebrated works and artists. Consider the entire genus of “resentment hoaxes” that draws upon the painterly talents of animals. In 1910, the novelist Roland Dorgelès attached a paintbrush to the tail of a donkey named Lolo and allowed it to paint a canvas; concealing both of their identities, he submitted the resulting work—a landscape, as it were—to the Salon des Indépendants in Paris, claiming the painting to represent a vanguard movement he cheekily dubbed “Excessivism.” History repeated itself in 1964, when paintings by a chimpanzee named Peter were exhibited in Sweden as the work of an undiscovered French artist. Perhaps the most famous example of resentment hoaxing comes not from visual art, however, but from literature. In the well-documented Ern Malley scandal of 1943–1944, two Australian provocateurs mailed a set of mock surrealistic poems to a modernist literary magazine, purporting them to be the work of a recently deceased, unknown poet named Ern Malley. After the poems’ publication, the true authors came forward to claim the work as their own and laugh at those they had fooled. Keller, for his part, acknowledged that he, too, would have felt a certain frisson had listeners responded favorably to his Mobile—which, alas, most did not. Piotr Zak is one of the youngest and most controversial figures in contemporary music. He is of Polish extraction, and now lives in Germany. The strong influence of Kagel, Stockhausen, and John Cage can be felt in his music . . . “Mobile” takes its name from the aerial sculptures of the American John [sic] Calder. It consists of an electronic tape, against which two percussion players play music written down, but giving scope for improvisation. The tape exploits the full range of the aural spectrum, controlled by strictly measurable quantities—frequency ratios, velocity graphs and decibel indexes. The statement offers much to unpack in the context of 1961. Given the fictional composer’s German residence, his reputation for controversy, and his fondness for “frequency ratios, velocity graphs and decibel indexes,” we might envision the young Zak a participant in the famous summer music courses held in the West German city of Darmstadt, where he would have encountered two of the enfants terribles listed among his influences, Karlheinz Stockhausen and Mauricio Kagel. Since the mid-1950s, Stockhausen had served as the leading light among the young at Darmstadt; Kagel, himself a member of the younger generation, had recently assumed a post as instructor at the summer courses. Worth noting, too, is Zak’s “Polish extraction,” which draws to mind the quick ascent to avant-garde stardom of Polish composers Krzysztof Penderecki and Witold Lutosławski in the period immediately preceding Keller’s broadcast. The title of Zak’s work, Mobile, reflects the specific vogue for indeterminacy of form in new music at the dawn of the 1960s. That tendency was most closely associated with the music of Cage’s colleague Earle Brown, whose frequent invocation of the mobile sculptures of Alexander Calder in connection to his music likely inspired Keller’s botched allusion to “John” Calder. In the manner ascribed to Zak’s Mobile, compositions by Brown, Stockhausen, Kagel and others in the late 1950s and early 1960s explored the boundary between strict compositional control and performative flexibility (the latter in a variety of guises, including indeterminacy and improvisation). In the year of the Zak hoax, a record featuring music of Stockhausen and Kagel was released on the Contemporary Sound Series from Time Records, a series produced by Brown. The LP included Stockhausen’s Zyklus for solo percussion, a piece previously broadcast on the Third Programme, and Kagel’s Transición II, a work in mobile form for percussion, piano, and tape, sonic forces similar to the advertised instrumentation of Zak’s Mobile. Given the release date of the LP, these pieces could easily have served as Keller’s immediate inspiration. At the time Keller made these remarks, Stockhausen had recently completed a series of works shaped by his study with the information and communication theorist Werner Meyer-Eppler, whom he later described as his best teacher; they included Gesang der Jünglinge, Zyklus, Refrain, and Kontakte, among others. To an extent that nearly qualifies as programmatic, these works were conceived by the composer as essays on the nature and limits of communication and comprehension in music. That Keller would target Stockhausen, among all contemporary composers, as the one “least worried” about communication is a remarkable turn in his argument, reflecting either his misreading of the composer’s concerns or his unawareness of them. Either possibility is potentially defensible, or at least understandable, considering the prevailing paradigm of Keller’s criticism; as we will see, however, this is the nub of the question. Keller’s remarks suggest a similar unfamiliarity with the music and ideas of Cage, another of Zak’s purported role models, while paradoxically invoking Cagean themes. Take his insistence that he and Bradshaw, the amateur percussionists “banging about” on found objects in the BBC studio, did not deserve to be called the performers of Mobile. (There was “no piece of music,” he claimed, and there were “no percussion players” [Keller, Mitchell, and Noble, “The Strange Case of Piotr Zak,” 1].) Yet the same sort of intuitive experimentation with sound helped launch Cage’s career as a progressive composer of percussion music in the 1930s, when he and other amateur players scavenged junkyards for unconventional new instruments. Also telling is Keller’s pointed use of the word “experiment” to characterize his endeavor without apparent recognition that the term “experimental music,” a coinage closely associated with Cage, was gaining currency at the time of the hoax. And consider again the issue of “communication,” a sine qua non of composition in Keller’s eyes, yet one ostensibly overlooked by composers of Zak’s ilk. In Cage’s chance and indeterminate music, however, communication was not so much overlooked as it was eschewed, its critical disavowal a cornerstone of his mature philosophy. In all of these cases, Keller’s words in “The Strange Case of Piotr Zak” do not suggest a critic airing his grievances with Cage, but rather one unattuned to Cage’s position. [Noble:] Ah well, how do you distinguish between what they said they experienced and the excitement that they might own to experience from, say, a thunderstorm? Thus the “Strange Case” reached its conclusion. Nearly a decade after the premiere of Cage’s infamous composition for ambient sound, 4’33”, and a half century after Duchamp began to dislodge the preeminence of intentionality and authorship as criteria in the classification of art, Keller expressed shock and dismay that a sonic phenomenon of nature—a thunderstorm—might be “taken for music.” The BBC’s most prominent and most learned music critic, to judge from his commentary, either knew nothing of these works or did not recognize their bearing on his own experiment. Why? However tirelessly Cage had promoted his artistic project across the preceding decade, it was the appearance of his first volume of essays, Silence, that spread his philosophy beyond a relatively small squad of fellow composers, artists, and sympathizers to a broader public. Published in the year of the Zak affair, Silence was the source text for a generation’s understanding of Cage and the catalyst of his fame in the 1960s, a fame that rivaled that of any living American composer. This decade was the same one in which Duchamp, marginalized in histories of modernism and long a recluse from the world of contemporary artists, found himself thrust into the center of those narratives and of that milieu. 1959 saw the publication of the first monograph on Duchamp, 1963 the first solo retrospective of his work. By that date, Cage had begun citing Duchamp as one figure among a small and eccentric handful of artists and thinkers whose ideas were in sympathy with his own, a carefully curated genealogy of avant-garde forebears. It was through Cage that the younger generation of American artists—Robert Rauschenberg and Jasper Johns most immediately—came to embrace Duchamp as a forefather and, as such, an alternative to the subjectivism of abstract expressionism. But Keller’s hoax occurred at the cusp of Cage’s and Duchamp’s canonization in the history of twentieth-century art, the moment before it became commonplace—if undoubtedly still controversial—for a critic to acknowledge that a thunderstorm or a urinal might indeed qualify, if only for some observers and in some contexts, as art. This shift occurred as critics, academics, and other institutional authorities came to better understand both Cage’s and Duchamp’s artistic projects throughout the course of the decade. But would Keller’s exposure to their ideas have changed his execution of the Zak hoax or the conclusions he drew from it? Perhaps not, for his brand of musical analysis and criticism was bound to a paradigm that did not accommodate the terms under which Cage and Duchamp’s “transfigurations of the commonplace,” to borrow a phrase from Arthur Danto, were accepted as art and celebrated by sympathetic critics in the 1960s. As an analyst, Keller saw every successful musical work as an organically developed, internally signifying, and autonomous whole; Duchamp and Cage’s work, increasingly interpreted by the artworld of the 1960s as an attack on the discourse of autonomy, would have likely registered as incompatible with this model, as would have the consideration of ancillary statements such as Silence in a critic’s disinterested critique of a sonic object. As the 1960s progressed and avant-garde movements supplanted one another with increasing speed, such ancillary materials would come to include a flood of new critical and social theories that seemed less and less “ancillary” with the passing of time. Their looming presence in the arts and humanities today is one more sign of the gulf between the world in which the Zak affair unfolded and our own. If this account of Keller’s hoax appears to emphasize its reactionary tendencies, another telling could well depict the fictional Piotr Zak as a musician looking squarely toward the future of British music. By the late 1960s, Cage’s ideas would become selectively absorbed into a heterogeneous avant-garde movement in Britain—one increasingly dubbed “experimental music”—that included a strong component of free improvisation, a practice nurtured by pioneering ensembles such as Britain’s AMM. In this light, Keller and Bradshaw’s own improvisation, described as an “experiment” and couched in a thicket of vague Cagean signifiers, could be construed as uncannily prescient—but only if we are willing to take Mobile seriously over Keller’s protestations. Perhaps it is appropriate that one’s acceptance or rejection of this view hinges entirely upon one’s attitude toward the role of authorial intent in art. At a time when critics and academics celebrate the legacy of Duchamp’s famous Fountain, we might pause to remember Keller’s neglected Mobile, which, in mirror form, constituted a different attempt to give art “a new thought” through the shell game of a public ruse. Such experiments help to reveal the shifting terrain upon which the last century’s supposed “march of progress” unfolded—a march that appears increasingly less directional and more circuitous, full of recuperation and revanchism alike, as it recedes further into our collective past. If the history of the arts is not merely one of things but also of ideas and acts, including those that interrogate the limits of art itself, Mr. Mutt and Mr. Zak both deserve a seat at the table. Among the sources documenting the work’s creation and reception are William Camfield, Marcel Duchamp, Fountain (Houston, TX: Houston Fine Art Press, 1989) and Thierry De Duve, “Given the Richard Mutt Case,” in The Definitively Unfinished Marcel Duchamp, ed. De Duve (Cambridge, MA: MIT Press, 1991), 187–230. The poll was held in 2004 in conjunction with Britain’s annual Turner Prize, organized by the Tate gallery. 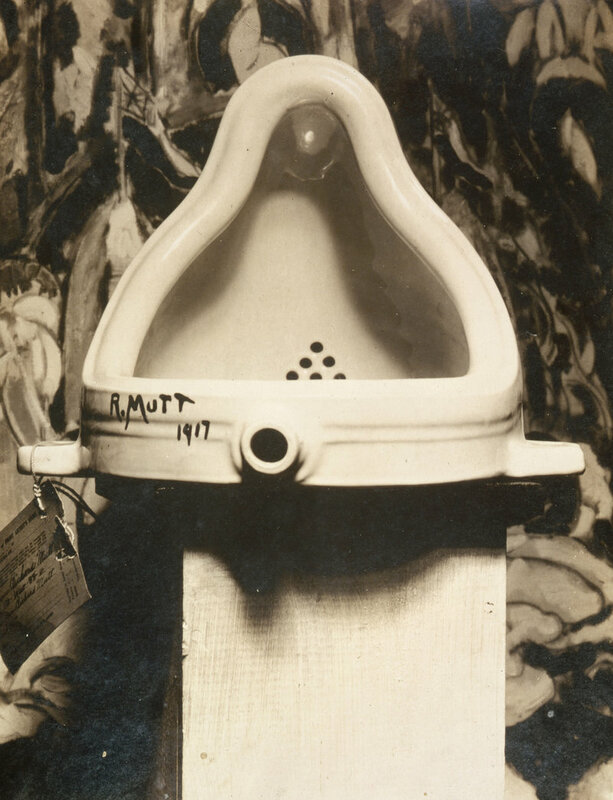 See “Duchamp’s Urinal Tops Art Survey,” BBC News, December 1, 2004. The multifaceted Bradshaw (1932–2005) was a concertizing pianist, a critic in leading journals, a translator of Pierre Boulez’s texts, and a mentor of piano students at Goldsmiths College. Although she promoted the work of many contemporary composers, she evidently shared her colleague Keller’s unease with certain avant-garde tendencies of the 1960s. Composer Hugh Wood recalls her attendance at the performance of an “interminably repetitive piece by La Monte Young” where, displeased with the music, she “left the audience, climbed on the stage and, to general approval, dragged the performer off his piano stool” (Hugh Wood, “Susan Bradshaw: Pianist with a Passion for New Music and a Serious Sense of Humour,” The Guardian, February 17, 2005). For an overview of Keller’s life and a summary of his work as a critic and music analyst, see Christopher Wintle, “Hans Keller (1919–1985): An Introduction to his Life and Works,” Music Analysis 5, no. 2/3 (1986): 343–53. A useful summary of Keller’s analytical thought in the broader context of twentieth-century music analysis appears in Ian D. Bent and Anthony Pople, “Analysis,” Grove Music Online, January 20, 2001. Hans Keller, “Hans Keller in Interview with Anton Weinberg,” Tempo 195 (1996): 6–12, 12. Keller was hardly alone in his negative assessment of the critical discourse surrounding contemporary classical music in the late 1950s and early 1960s. Concerns over the quality of that discourse spurred Milton Babbitt to write the famous essay that was published under the disputed title “Who Cares If You Listen?” in High Fidelity 8, no. 2 (1958), later collected in The American Composer Speaks, ed. Gilbert Chase (Baton Rouge: Louisiana State University Press, 1966), 234–44. Regarding Keller’s hoax, Babbitt would later remark, “If it demonstrated anything, it was that which least needed to be demonstrated, the dangerously sad state of musical discourse, particularly putative ‘music criticism’” (Milton Babbitt, et al., “Memoirs,” Music Analysis 5, no. 2/3 : 374–405, 375). A brief overview of the institutional circumstances surrounding the broadcast appears in A. M. Garnham, Hans Keller and the BBC: The Musical Conscience of British Broadcasting (Aldershot: Ashgate, 2003), 123–25. Hans Keller, Donald Mitchell, and Jeremy Noble, “The Strange Case of Piotr Zak: A Discussion Between Hans Keller, Donald Mitchell and Jeremy Noble,” transcript of broadcast, BBC Third Programme, August 13, 1961, BBC Written Archives Centre. This theme runs throughout “The Strange Case.” In one instance, Keller remarks to his panelists, “the question isn’t at all why is it you recognized [Mobile] wasn’t very good, the question is, why is it that you didn’t recognize it wasn’t any music any way?” (6). Leo Black, one of Keller’s colleagues at the BBC, remarked of Zak’s piece that “much of the fuss could have been avoided had Hans simply avoided characterizing it as ‘not music’” (Leo Black, BBC Music in the Glock Era and After: a Memoir, ed. Christopher Wintle with Kate Hopkins [London: Plumbago Books, 2010], 64n4). “The Richard Mutt Case,” The Blind Man no. 2 : 5–6, 5. To my knowledge, the hoaxes of Duchamp and Keller have not been considered in tandem, at least at any length. A passing comparison of the two affairs appears in a remembrance of Keller written upon his death, however. See Michael Graubart’s contribution to Milton Babbitt, et al., “Memoirs,” 384. Arthur Hutchings, “Personal View: 2. Du Côté de Chez Zak,” Musical Times 102, no. 1424 (1961): 623–24, 623. Emphasis removed. See Garnham, Hans Keller and the BBC, 123–25. Myers’s remark is quoted in an unsigned editorial in Musical Times 102, no. 1424 (1961): 618. Although Porter recognized the Zak affair for the stunt it was, he apparently endorsed Keller’s belief that Mobile did not constitute music, writing, “what the Zak hoax proved was that some critics could distinguish between music and non-sense” (Andrew Porter, “Zak’s ‘Mobile,’” Musical Times 123, no. 1671 : 319). See Keller, “Hans Keller in Interview,” 12. On the “Sokal Squared” hoax, see, for example, Yascha Mounk, et al., “What the ‘Grievance Studies’ Hoax Means,” Chronicle of Higher Education, October 9, 2018. Quoted in Allan Kozinn, “Pieces for Haydn Puzzle: Six Sonatas Are Found,” New York Times, December 15, 1993, C00019. A summary of the Haydn forgery appears in Reinhold Brinkmann, “The Art of Forging Music and Musicians: Of Lighthearted Musicologists, Ambitious Performers, Narrow-Minded Brothers, and Creative Aristocrats,” in Cultures of Forgery: Making Nations, Making Selves, ed. Judith Ryan and Alfred Thomas (New York: Routledge, 2003), 111–126, 116–18. Richard Dyer, quoted in Geoff Edgers, “Cherished Music Wasn’t Hers: Husband Admits to Doctoring CDs,” Boston Globe, February 27, 2007. Martin Fackler, “In Japan, a Beloved Deaf Composer Appears to be None of the Above,” New York Times, February 7, 2014, A1. See Noah Charley, The Art of Forgery: The Minds, Motives and Methods of Master Forgers (London: Phaidon Press, 2015). See Charley, The Art of Forgery, 115–20. See Blake Gopnik, “In Praise of Art Forgeries,” New York Times, November 3, 2013, SR5. See Jonathon Keats, Forged: Why Fakes Are the Great Art of Our Age (Oxford: Oxford University Press, 2013). Ben Lerner, “Damage Control: The Modern Art World’s Tyranny of Price,” Harper’s (December 2013): 43–49. Duchamp had previously exhibited paintings at the Salon des Indépendants, whose non-juried format inspired the creation of New York’s Society of Independent Artists, and it seems likely that he would have known of Dorgelès’s stunt. On Dorgelès and Duchamp, see John F. Moffitt, Alchemist of the Avant-Garde: The Case of Marcel Duchamp (Albany: State University of New York Press, 2003), 91. See “Art: Zoo Story,” Time, February 21,1964, 77. For a summary of the Malley affair, see Judith Ryan, “After the ‘Death of the Author’: The Fabrication of Helen Demidenko,” in Cultures of Forgery, 169–86, 177–79. A copy of the press release is held at the Keller Archive of the Cambridge University Library and quoted in Garnham, Hans Keller and the BBC, 123. It was Duchamp, in fact, who suggested to Calder that his kinetic sculptures be called “mobiles.” See Herbert Mitgang, “Alexander Calder at 75: Adventures of a Free Man,” ARTnews 72 (1973): 54–58, 57. See D. J. Hoek, “Documenting the International Avant Garde: Earle Brown and the Time-Mainstream Contemporary Sound Series,” Notes 61, no. 2 (2004): 350–60, 358. Andrew Porter, for one, viewed Stockhausen’s Zyklus as the direct inspiration for Zak’s Mobile. See Porter, “Some New British Composers,” Musical Quarterly 51, no. 1 (1965): 12–21, 14–15. Robin Maconie, Other Planets: The Music of Karlheinz Stockhausen (Lanham, MD: Scarecrow Press, 2005),184. On Gesang der Jünglinge specifically, see David Joel Metzer, “The Paths from and to Abstraction in Stockhausen’s Gesang der Jünglinge,” Modernism/modernity 11, no. 4 (2004): 695–721. On Cage’s experimentation with percussion timbre, see Christopher Shultis, “No Ear for Music: Timbre in the Early Percussion Music of John Cage,” in John Cage: Music, Philosophy, and Intention, 1933–1950, ed. David W. Patterson (New York: Routledge, 2002), 83–104. On Cage’s retreat from communication as an artistic goal during the 1940s, see James Pritchett, The Music of John Cage (Cambridge: Cambridge University Press, 1993), 36–73. Could these listeners have continued to view the piece favorably after learning about its true provenance? To do so—to ignore the duality between a “phony” Piotr Zak and an “authentic” Hans Keller—would signal a rejection of the terms by which the hoax was meant to function, a refusal to play by the hoaxer’s rules of engagement. Precedent for such a response exists in the aforementioned Ern Malley scandal in Australian poetry of the 1940s. A later generation of writers and critics (including New York School figures Kenneth Koch and John Ashbery) came to admire the putatively bogus poems as bona-fide art, noting that the intuitive and spontaneous means by which the hoaxers created the works could even qualify them as surrealistic. They insisted, over the protestation of the artistic counterfeiters, that the phony bills were, in fact, legal tender. See Ryan, “After the ‘Death of the Author,’” 178–79. Whether Duchamp wished from the outset for the work to serve as a critique of these artistic criteria is subject to debate, for, as William Camfield has aptly noted, “there is no want of opinion regarding Fountain” (Marcel Duchamp, 136). Yet such a view is supported by the comments in The Blind Man, which include the following words: “Whether Mr. Mutt with his own hands made the fountain or not has no importance. He CHOSE it” (“The Richard Mutt Case,” 5). David W. Patterson, “Words and Writing,” in The Cambridge Companion to John Cage, ed. David Nicholls (Cambridge: Cambridge University Press, 2002), 99. For a sketch of the Duchamp revival of the 1960s and the role of the 1960s avant-garde in fostering it, see Rudolf E. Kuenzli, introduction to Marcel Duchamp: Artist of the Century, ed. Rudolf Kuenzli and Francis M. Naumann (Cambridge, MA: MIT Press, 1989), 1–11. Concerning the ramifications of this solo exhibition, see Calvin Tomkins, Duchamp: A Biography (New York: Owl Books, 1996), 435. See Cage’s 1963 essay “26 Statements Re Duchamp,” in A Year from Monday (Middletown, CT: Wesleyan University Press, 1967), 70–72. In the foreword to A Year from Monday, Cage described Duchamp as one of the “teachers” with whom he was currently studying (x). A 2013 exhibition at the Philadelphia Museum of Art and Barbican Art Gallery concerning the relationship of this circle of artists to Duchamp led to the publication of an edited volume on the subject: Dancing Around the Bride: Cage, Cunningham, Johns, Rauschenberg, and Duchamp, ed. Carlos Basualdo and Erica F. Battle (Philadelphia: Philadelphia Museum of Art, 2013). See Arthur Danto, The Transfiguration of the Commonplace: A Philosophy of Art (Cambridge, MA: Harvard University Press, 1981). Although the impetus behind Danto’s book and his larger philosophy of art was neither Duchamp nor Cage but rather Andy Warhol, he writes of Duchamp as the first artist who “performed the subtle miracle of transforming, into works of art, objects from the Lebenswelt of commonplace existence” (vi). On the rise of critical theory in the 1960s in the context of the postwar avant-garde, see Hal Foster, “What’s Neo About the Neo-Avant-Garde?,” October 70 (1994): 5–32. Benjamin Piekut, “Indeterminacy, Free Improvisation, and the Mixed Avant-Garde: Experimental Music in London, 1965–1975,” Journal of the American Musicological Society 67, no. 3 (2014): 769–823. Perhaps it goes without saying that today’s institutional authorities in the arts, unlike many of their predecessors at the time of the Zak hoax, are likely to exhibit a sophisticated grasp of Duchamp’s and Cage’s artistic projects, with their views often informed by poststructuralist theory. Yet the same questions Duchamp and Cage raised about intent and authorship can still elicit a volatile response when divorced from those artists’ famous names and their canonical works. Likewise, pranks that force us to confront the relationship between putatively “real” and “fake” art remain as viable as ever. A recent example is profiled in Dan Bilefsky, “How a Humble Pineapple Became Art,” New York Times, May 12, 2017, A4. Brett Nathan Boutwell is Associate Professor of Musicology and the William F. Swor Alumni Professor in the College of Music and Dramatic Arts at Louisiana State University. He writes on experimental and avant-garde music since 1945, specializing in the work of the American composer Morton Feldman.